To help keep your newly acquired designer Dual Driving Loafers planted firmly on the gas pedal this weekend, get Double GTA$ in all Races. Also, all Race bonuses - Slipstreams, Overtakes, entering 1st place, maintaining 1st place for a whole lap, running a clean lap, making the fastest lap or establishing your personal best lap - will pay out Double RP throughout the weekend. Rockstar has also assembled a special Event Playlist filled with Rockstar Created and Rockstar Verified Races chosen specifically to test drive the brand new vehicles featured in the Ill-Gotten Gains Update: Part Two. The Great Adventurer is perfect for those looking to take the Progen T20 for a spin, and you can certainly flex your muscle in Grass Route and Casino Royale. (On Xbox 360 and PS3 The Life Invader Circuit replaces Casino Royale). To round things out, we finish with the fan-favorite Power Trip, which makes for a perfect opportunity to rev up your Dinka Vindicator. To roll directly into these, just hit the Event button during the GTAV loading screen. Finally, if you think you got your Progen T20 game locked tight already (or you've been beaten 10 times in a row by the same player, and want to make the next defeat hurt a little less) take advantage of a complimentary $1,000 betting stake in Races this weekend, free to place on whomever you choose. Come to grips with the dead-shot Marksman Pistol or try on new Knuckle Duster melee weapons this weekend in Double RP Deathmatches. Since the Knuckle Dusters will already have you working on your forehand game, head over to the courts at the Richman Hotel and serve yourself up some Double RP in Tennis - or hit the lush fairways at the Los Santos Golf Club instead for Double RP while you try to get that elusive hole-in-one on the 6th. 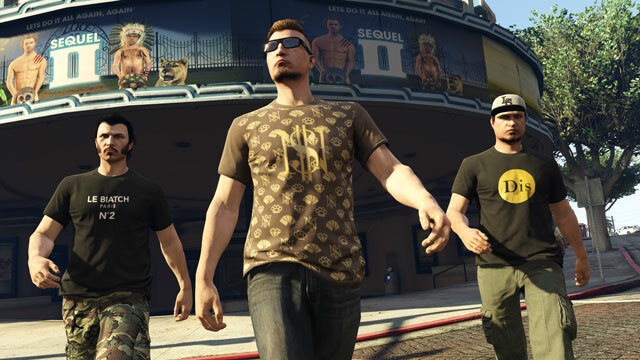 In addition to RP and GTA$ Bonuses for Racing, industrious players will be rewarded this weekend with a different exclusive T-shirt each day when they complete their three Daily Objectives. To find out what these are each day, head into GTA Online and keep an eye out for the notification that pops up on screen. From there, head to your Interaction Menu and select the Daily Objectives option. Complete Daily Objectives this weekend to unlock the Gold Dis T-shirt (Friday), Le Biatch T-shirt (Saturday) and NS Print T-shirt (Sunday). Daily Objectives this weekend have been cherry picked so that you can take advantage of everything the Ill-Gotten Gains Update: Part Two has to offer (and earn your GTA$25,000 daily completion bonus). Objectives are randomized, but keep an eye out for opportunities to participate in a Sea Race in the new Lampadati Toro, or hit some Stunt Jumps using the KERS speed injection feature on the Dinka Vindicator. All this weekend, Gold Metal resprays from Los Santos Customs will be absolutely free on everything, including the rough and ready Coil Brawler and the sleek Invetero Coquette BlackFin. Also, all Pegasus orders for luxury vehicle services are on the house. And don't forget about the Legendary Motorsport one-time 25% rebate for qualifying purchases that's happening through next week July 15. If you've got some charismatic Crewmates who are eager to show off their luxurious spoils, gather them together to create your next Rockstar Editor short film in our #illgottengains Rockstar Editor contest. Rockstar wants to see how you have put the hard-earned cash from the GTA Online Heists to good use, whether it's showing off a full runway show from Ponsonbys or simply tearing down the Rockford Hills strip in style, they'll be looking for the best and the brightest from the Rockstar Editor community to celebrate excess and graft in the form of stylish video clips. Prizes for winning include a custom G910 Orion Spark Gaming Keyboard and a G510 Proteus Core Gaming Mouse, both laser-engraved with the winner's Social Club ID and the Rockstar Editor logo. The grand prize winner and two runner-ups will also receive a deluxe prize pack of official GTAV gear and a $100 gift card for the Rockstar Warehouse. 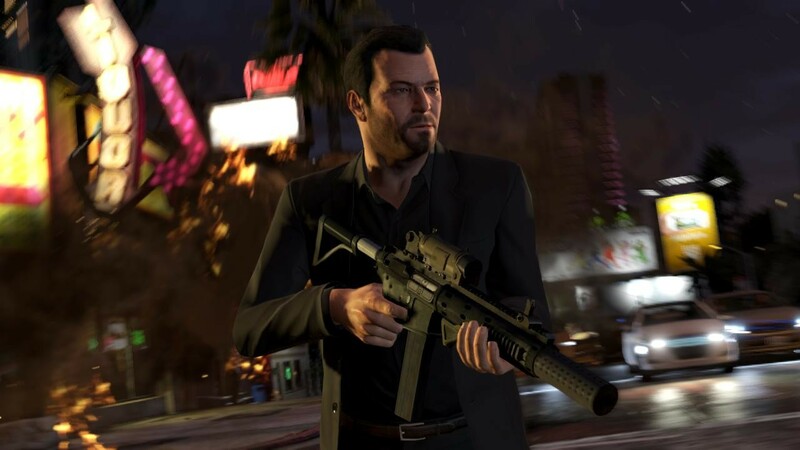 The video must be published to Rockstar Games Social Club and tagged with the word 'illgottengains' between now and 11:59pm ET on August 3rd to be eligible. Void where prohibited, see the official rules for more information. Rockstar knows there are also quite a few Snapmatic shutterbugs out there who've put in work stacking their chips from doing Heists. They're giving five photographers the chance to win a cool GTA$1Million to put towards their material desires, simply by snapping stunning and clever photographs of you flaunting Ill-Gotten Gains Update 2 content with your iFruit camera and tagging the photo on Social Club with “illgottengains2”. So whether you're mugging hard or crushing it in LS downtown traffic with the Coil Brawler, do something truly flashy to catch their eye and you will reap the benefits. See official rules. Fully accessorize and add to your personal collection of spoils with the Social Club Event Sweepstakes, open for entry right now on the Social Club Events Page. Enter for your chance to win a stylish set of GTAV goods, including the Gold Bar USB, iFruit Phone Case, Epsilon Sterling Pendant, a copy of the Welcome To Los Santos album and GTAV stickers. Well TreeFitty, neither of us saw that one coming. However, while it may have been unforseen, it is certainly not unwelcome. Now please excuse me while I buy myself a couple of high-end apartments. Iâ��ve been putting it off until their price was discounted. If you are correct, then that is a shame. The monthly DLC releases always ensured that there was something to look forward to. The addition of a Rockstar Event after a DLC release was also welcome. It often meant a doubling of cash or RP for the various jobs or races in GTAO - and I could certainly use the extra cash or RP. Probably going to be a while unless Rockstar gets back into monthly DLC releases. Which I doubt right now. This might appear to be a premature question, but does anyone know when the next Rockstar Event is due to occur? Ill-Gotten Gains 2 Event Weekend - Happening right now and through the weekend get more bonus GTA$ and RP in GTA Online to celebrate the Ill-Gotten Gains Part 2 release!